Despite modern antiretroviral therapy, HIV-associated sensory neuropathy affects over 50 % of HIV patients. The clinical expression of HIV neuropathy is highly variable: many individuals report few symptoms, but about half report distal neuropathic pain (DNP), making it one of the most prevalent, disabling, and treatment-resistant complications of HIV disease. The presence and intensity of pain is not fully explained by the degree of peripheral nerve damage, making it unclear why some patients do, and others do not, report pain. 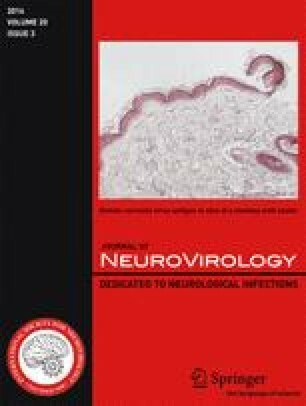 To better understand central nervous system contributions to HIV DNP, we performed a cross-sectional analysis of structural magnetic resonance imaging volumes in 241 HIV-infected participants from an observational multi-site cohort study at five US sites (CNS HIV Anti-Retroviral Treatment Effects Research Study, CHARTER). The association between DNP and the structural imaging outcomes was investigated using both linear and nonlinear (Gaussian Kernel support vector) multivariable regression, controlling for key demographic and clinical variables. Severity of DNP symptoms was correlated with smaller total cerebral cortical gray matter volume (r = −0.24; p = 0.004). Understanding the mechanisms for this association between smaller total cortical volumes and DNP may provide insight into HIV DNP chronicity and treatment-resistance. The CNS HIV Anti-Retroviral Therapy Effects Research (CHARTER) group is affiliated with the Johns Hopkins University, Mount Sinai School of Medicine, University of California, San Diego, University of Texas, Galveston, University of Washington, Seattle, Washington University, St. Louis and is headquartered at the University of California, San Diego and includes: Director: Igor Grant, M.D. ; Co-Directors: J. Allen McCutchan, M.D., Ronald J. Ellis, M.D., Ph.D., Thomas D. Marcotte, Ph.D.; Center Manager: Donald Franklin, Jr.; Neuromedical Component: Ronald J. Ellis, M.D., Ph.D. (P.I. ), J. Allen McCutchan, M.D., Terry Alexander, R.N. ; Laboratory, Pharmacology and Immunology Component: Scott Letendre, M.D. (P.I. ), Edmund Capparelli, Pharm.D. ; Neurobehavioral Component: Robert K. Heaton, Ph.D. (P.I. ), J. Hampton Atkinson, M.D., Steven Paul Woods, Psy.D., Matthew Dawson; Virology Component: David Smith, M.D. (P.I. ); Imaging Component: Christine Fennema-Notestine, Ph.D. (P.I. ), Terry L., Jernigan, Ph.D., Michael J. Taylor, Ph.D., Rebecca J. Theilmann, Ph.D., John Hesselink, M.D. ; Data Management Unit: Anthony C. Gamst, Ph.D. (P.I. ), Clint Cushman; Statistics Unit: Ian Abramson, Ph.D. (P.I. ), Florin Vaida, Ph.D.; Protocol Coordinating Component: Thomas D. Marcotte, Ph.D. (P.I. ); Johns Hopkins University Site: Justin McArthur (P.I. ), Mary Smith; Mount Sinai School of Medicine Site: Susan Morgello, M.D. (Co-P.I.) and David Simpson, M.D. (Co-P.I. ), Letty Mintz, N.P., Cheuk Tang, Ph.D., and Thomas Naidich, M.D. ; University of California, San Diego Site: J. Allen McCutchan, M.D. (P.I. ), Will Toperoff, N.P. ; University of Washington, Seattle Site: Ann Collier, M.D. (Co-P.I.) and Christina Marra, M.D. (Co-P.I. ), Kenneth Maravilla, MD, KC Stegbauer, Ph.D., Trudy Jones, M.N., A.R.N.P. ; University of Texas, Galveston Site: Benjamin Gelman, M.D., Ph.D. (P.I. ), Eleanor Head, R.N., B.S.N., Gregory Chaljub, M.D. ; and Washington University, St. Louis Site: David Clifford, M.D. (P.I. ), Muhammad Al-Lozi, M.D., Mengesha Teshome, M.D. The online version of this article (doi: 10.1007/s13365-014-0236-8) contains supplementary material, which is available to authorized users. This research was supported by awards N01 MH22005, R25-MH081482, HHSN271201000027C, R01 MH079752 and P30 MH0625 from the National Institutes of Health. Disclaimer: The views expressed in this article are those of the authors and do not reflect the official policy or position of the US Government. The authors have no conflicts of interest to disclose. Each author John R. Keltner, Christine Fennema-Notestine, Florin Vaida, Dongzhe Wang, Donald R. Franklin, Robert H. Dworkin, Chelsea Sanders, J. Allen McCutchan, Sarah L. Archibald, David J. Miller, George Kesidis, Clint Cushman, Sung Min Kim, Ian Abramson, Michael J. Taylor, Rebecca J. Theilmann, Michelle D. Julaton, Randy J. Notestine, Stephanie Corkran, Mariana Cherner, Nichole A. Duarte, Terry Alexander, Jessica Robinson-Papp, Benjamin B. Gelman, David M. Simpson, Ann C. Collier, Christina M. Marra, Susan Morgello, Greg Brown, Igor Grant, J. Hampton Atkinson, Terry L. Jernigan and Ronald J. Ellis does not have a financial relationship with the National Institutes of Health.